Quick summary: This lesson continues from Biography – Part 1. Portrayal of character is explored through a brainstorming activity then applied to the sections of the documentary. Students explore the text features of biography and narrative and study the opening scene of the film to investigate how a filmmaker can framed a subject. Using the jigsaw group investigation method, students investigate some of the film techniques used throughout the opening scenes and analyse their effects. A class brainstorm firms up student ideas about framing the subject, which are then further developed through a persuasive writing task. 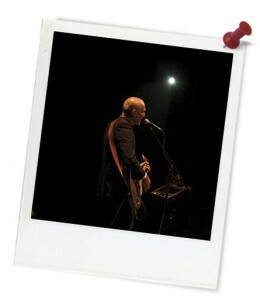 This lesson uses sections of Shark Island Productions’ Paul Kelly – Stories of Me as learning stimuli. Teachers are required to create an account to view the film and use the supplied code to enable students to access the film. A character can be portrayed in a text in a variety of ways. Biographic and narrative text types share similarities and differences. A filmmaker consciously frames their subject using different techniques. Musicians create their own image. Resources required: Student Worksheet – one copy per student OR computers/tablets to access the online worksheet. Device capable of presenting a website to the class. 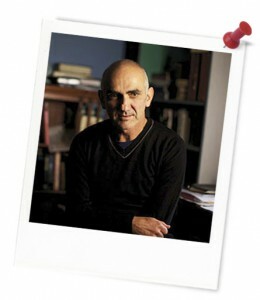 Copy of Paul Kelly – Stories of Me (teachers are required to create an account to view and invite students to view the film), Persuasive essay graphic organiser. Sticky notes. Collage making materials or the online collage maker. Printed out and cut up sets of the ‘Biography or Narrative’ Matching Activity (enough for small groups). Mind-map webtools mindmeister or bubbl.us. Keywords: Biography, text features, Paul Kelly, representation, text creation. Overarching learning goal: Students will gain a better understanding of how filmmakers portray character. They will be able to discuss and compare the text features of biographical and narrative text types. Through close analysis of the opening scenes of Paul Kelly - Stories of Me, students will be able to explain how the subject of a text can be framed in order to position the audience in a specific way. What do you think the similarities and differences between stories and real life are? Fill out the table below to show your ideas.